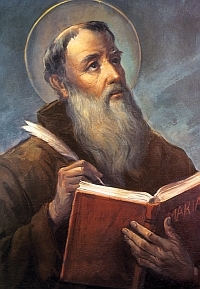 Saint Lawrence of Brindisi (July 22, 1559, Brindisi, Apulia – July 22, 1619), born Giulio Cesare Russo, was a Roman Catholic priest and a member of the Order of Friars Minor Capuchin. He was beatified in 1783 by Pope Pius VI, canonized in 1881 by Pope Leo XIII and declared a Doctor of the Church by Pope John XXII in 1959. 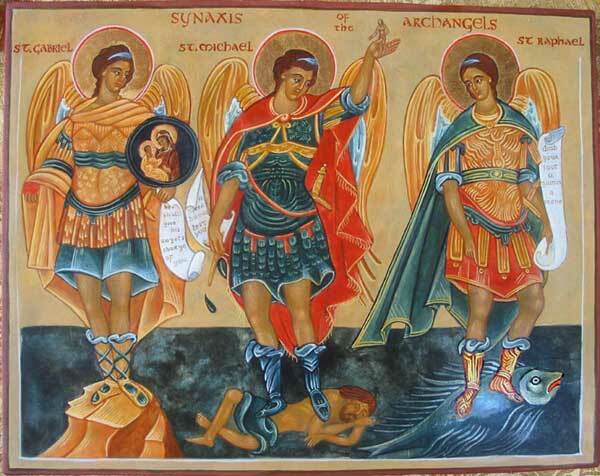 His feast day is July 21. Julio was born in Brindisi, Kingdom of Naples, to a family of Venetian merchants. He was educated at Saint Mark’s College in Venice, and joined the Capuchins in Verona as Brother Lorenzo. He received further instruction from the University of Padua. An accomplished linguist, Lawrence spoke most European and Semitic languages fluently. He was appointed definitor-general for Rome for the Capuchins in 1596; Pope Clement VIII assigned him the task of converting the Jews in the city. Beginning in 1599, Lawrence established Capuchin monasteries in modern Germany and Austria, furthering the Counter-Reformation and bringing many Protestants back to the Catholic faith. In 1601, he served as the imperial chaplain for the army of Rudolph II, Holy Roman Emperor, and successfully recruited Philippe Emmanuel, Duke of Mercœur to help fight against the Ottoman Turks. He then led the army during the capture of Székesfehérvár from the Ottoman Empire, armed only with a crucifix. In 1602 he was elected vicar-general of the Capuchins, at that time the highest office in the order. He was elected again in 1605, but refused the office. He entered the service of the Holy See, becoming nuncio to Bavaria. After serving as nuncio to Spain, he retired to a monastery in 1618. He was recalled as a special envoy to the King of Spain regarding the actions of the Viceroy of Naples in 1619, and after finishing his mission, died on his birthday in Lisbon.